The Jim Dunlop Heavy 7's are the latest addition to Dunlop Heavy Core electric guitar strings series. 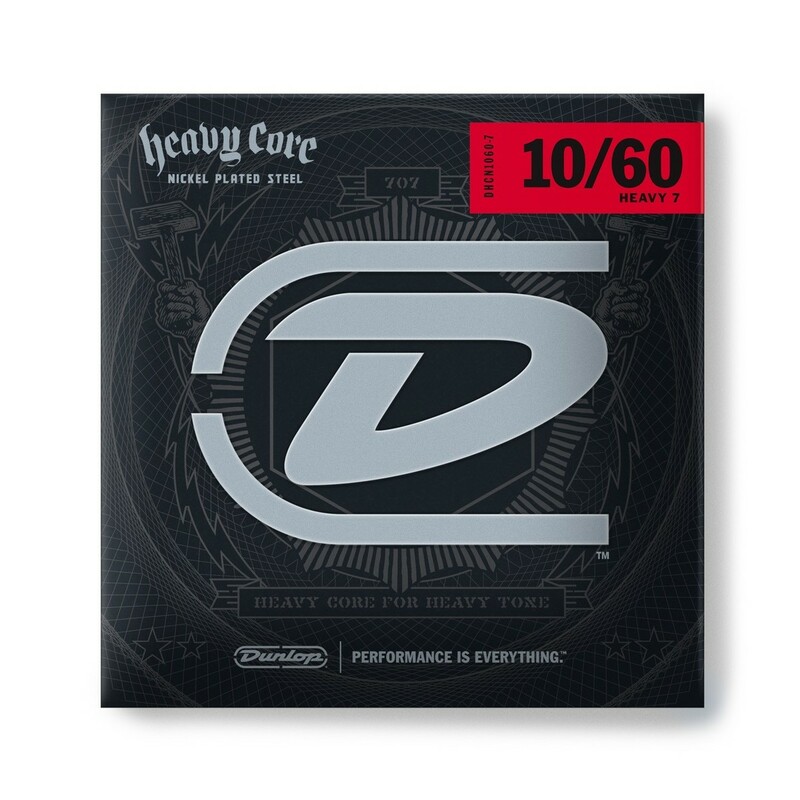 This Seven String set has been specifically designed for definition, tonal balance and superior intonation when playing in dropped or lowered tuning styles. View Full Description Heavy Core Seven incorporates a unique core wire and proprietary wrap ratios to offer players the ability to really "dig in" while retaining a tight low end, focused midrange and smooth top-end when playing clean or distorted. This specifically designed 7 string set is great for standard B, B with dropped A, 1/2 step and B Flat tunings and can also be used with a baritone guitar. 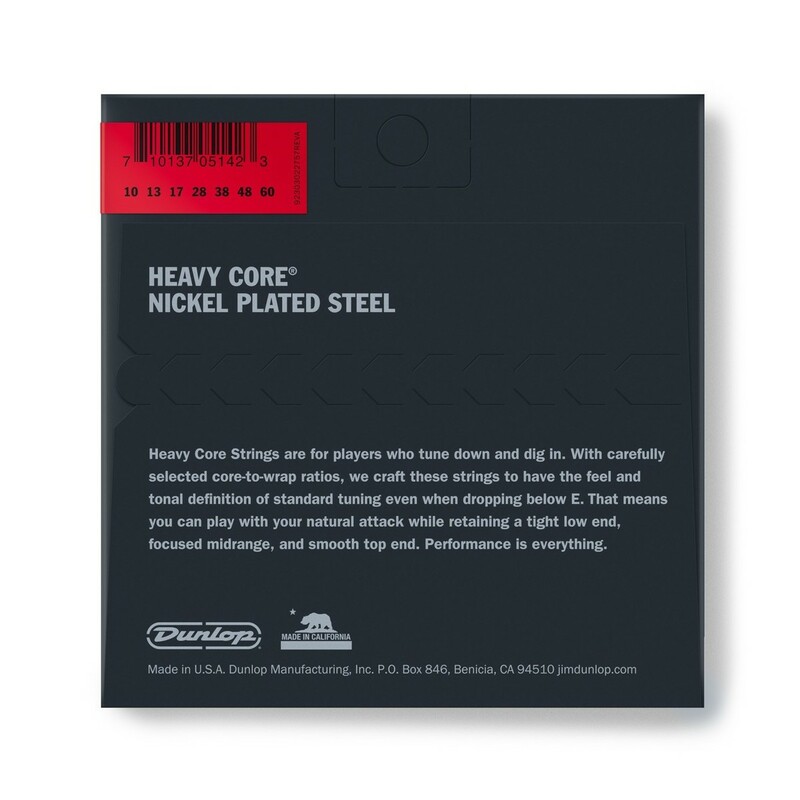 Baritone players will feel right at home using Heavy Core 7's six lower strings for their instruments and saving the high E (.010) as a back up for one of their six string electrics. All Dunlop Strings come packaged utilizing three levels of moisture protection and are sealed in a VCI Fresh Technology (Vapor Corrosion Inhibitor) bag to guarantee that your strings arrive as fresh as the day they were made.